The Bear Song IV butterfly knife is a collaboration between BladeRunnerS (BRS) and Bear OPS. It is a lightweight flipper that is designed to be your go-to everyday carry knife. 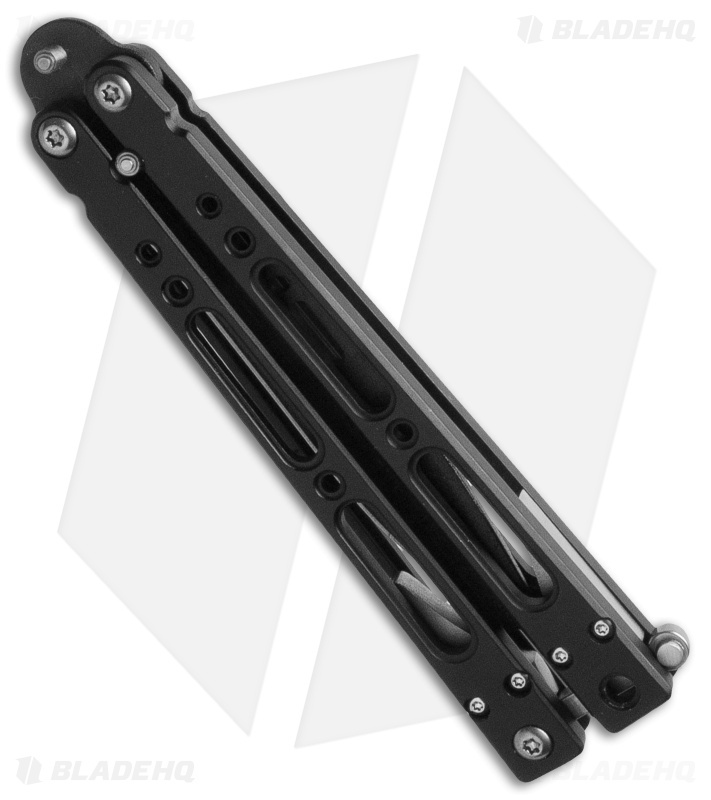 The B-400 model features black finished aluminum handles with stainless steel spacers and a swappable latch. The pivots have 304 bearing surfaces and phosphorus bronze washers. The black powder coated steel clip point blade has a double tang pin design for great performance. It flips pretty well for a knife under 100$ and I would recommend this or a Kimura to anyone who wants to get into bali flipping as a starting knife. 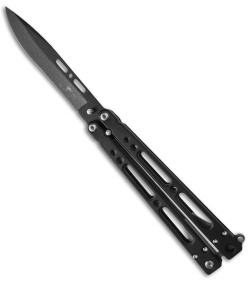 Sure, it's no Benchmade or BRS, but for the price it's a great value. Razor sharp out of the box. It was a little tight at first but a few minutes of flipping loosened the handles. I haven't lost the tang pins yet in the last month and a half so I don't know if I'm just lucky or other reviewers are rougher on their knives than I am. I like the finish but I wish it was more resistant to wear. I also wish the latch had a spring because it has been digging into the interior corners of the safe handle. Maybe a stronger aluminum alloy for the handles would resolve that issue. Comes with a microfiber drawstring pouch, which helps protect the finish when it's in your pocket with keys or whatnot.